I love Plickers. I’ve presented the use of Plickers to my staff and at conferences in Illinois. Recently, I applied to be a Plickers Ambassador and now I am one! 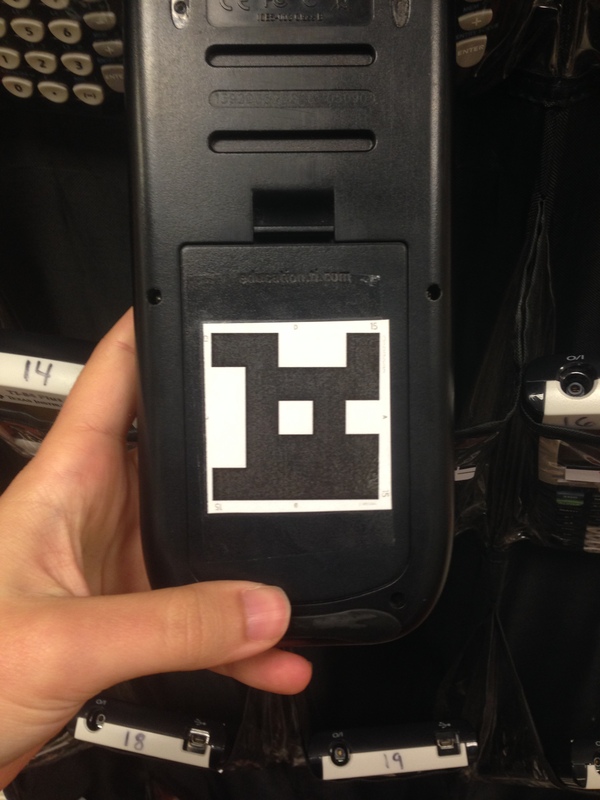 This fall break, I had an idea about storing Plickers in the classroom. This was always the only bad part about Plickers – they take time for students to pick them up if you store them in your room or if you give them to students some inevitably will lose them. But in my class, the students are all assigned a calculator that I store on the wall. They are very used to grabbing this on their way into class because it’s in a hanging shoe organizer right next to the door. Their calculator number is the same as their Plicker number, so I realized that I could just put both together! I printed the Plickers so there were two pages on one and that shrunk them so that they fit right onto the battery cover of a TI-84. I taped them on with packing tape to create a pseudo-lamination. My students even said this was a great idea! I will admit, these don’t work quite as well as the regular-sized Plickers. I have to usually go across the room one extra time – so I spend an extra 30 seconds to scan but gain so much time figuring out who has and doesn’t have their Plicker! If you like to blog and see the value in it but seem to always put it off (like me) join the group and we’ll keep each other accountable! We all know I only blog when there’s a challenge, so I’m taking this as a challenge. I will post more because it helps me (and maybe some other people, too). Mes étudiants aiment qu’il n’est plus nécessaire de trouver leurs Plickers! I’m also so happy to get that reminder/push to blog. Nice post!